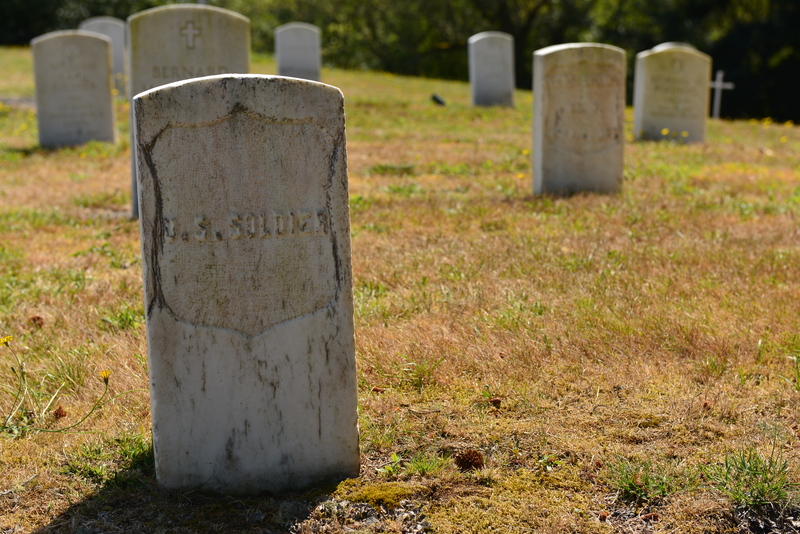 The historic Fort Stevens Post Cemetery includes some of the oldest surviving gravestones in the county. A reputation for heavy drinking was attributed to Fort personnel due to the soldier’s isolation during their duty tour. Causes of death add mystery to the local area, as many people died due to causes unknown. Private Stahlberger’s official death was noted as death “caused by blows from person or persons unknown”. Multiple gravestones are marked “Unknown” from drownings at sea – bodies washed ashore near the Fort. 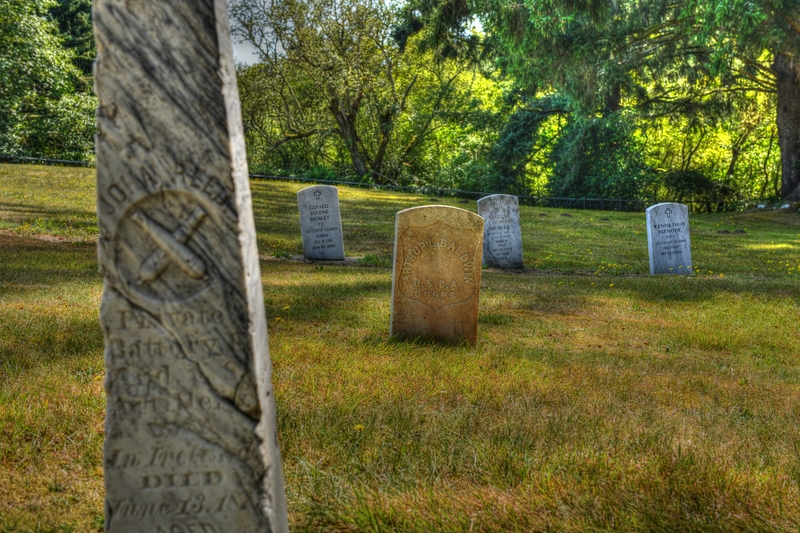 Sadly, many graves are marked “Infant” or “Child” – with only a last name shown on the grave marker. The second burial was Private Bernard McCormack, Company M, 1st Cavalry who was a transient between stations. Private McCormack drowned in the Columbia. This site is one of two still active North West Army cemeteries still accepting Veterans. Vancouver Barracks Post Cemetery located in Vancouver, Washington still performs Veterans burials. The first Fort Stevens Cemetery was located one-quarter mile South of the Post on the edge of the garrison. Today’s cemetery is the second location, built in 1905. The current site was chosen due to it’s elevated location near the southern end of the Post. The site originally contained only remains from the first cemetery burials. Fifty graves from Fort Canby were moved to this site. The graves here in a North – South direction instead of the customary East – West direction. This exception was granted due to the land slope. The typical East – West direction is used so the interned may ‘see’ the sunrise and is a custom dated back over 4,000 years. Today a visitor will see new Veterans headstones replacing the older headstones as the older headstones were not legible. New stones are set in concrete to prevent leaning or sinking of the headstones. And of course – thanks to these and all Veterans who sacrificed for our Country.